World of Warcraft: Legion patch 7.1.5 went live Jan 10. Here is a quick recap of the changes. Yes, this video is later than promised in my previous upload, but here it is! 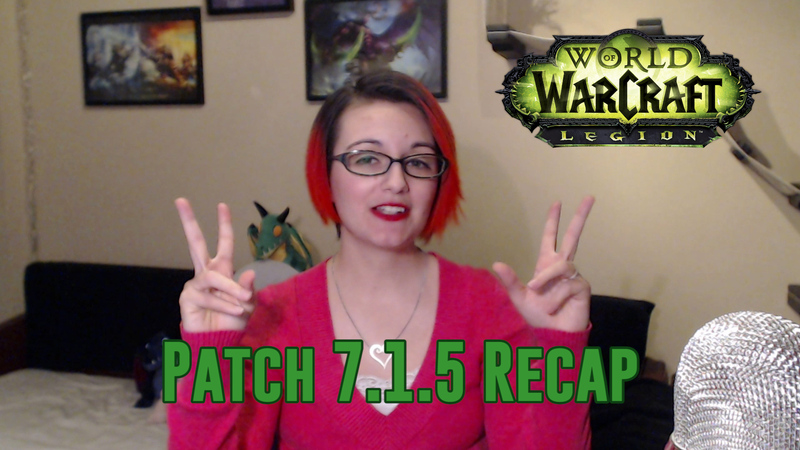 Patch 7.1.5 went live on Jan 10 and is part of the new patch philosophy discussed at BlizzCon. It’s being testing throughout Legion after they learned several lessons from Warlords of Draenor. They discovered that patch sizes and structure needed to be adjusted. The new structure works as a medium patch (7.1), smaller patches (7.1.5), and a big patch (7.2). Smaller patches typically have items that didn’t make it to the other patches. It also includes evergreen content to keep Azeroth alive. To put it simply, it’s to keep content continually relevant–to keep players returning. Patch 7.1.5 is a smaller patch with system updates, rewards, and content. Brawler’s guild is back! It was first introduced in Mists of Pandaria in patch 5.1. It’s designed as a solo-pit-fight against unique raid-type bosses–no content bosses–with spectators. It’s located in Stormwind Tram and Orgrimmar Brawl’gar Arena. In the 6 months since it was last open, they reset invites for all players. The blood-soaked invitation can be farmed from the Vrykul at Shields Rest in Stormheim or dropped from completing dungeons and emissary quests. This is the third iteration of the Brawler’s Guild, so introduces new encounters and rewards. One of those new rewards is Brawler’s Gold (new currency) that can be used to purchase Rumble Cards. Rumble Cards can cause Rumble Fights–raid-style fights–that pull in all brawlers in the queue. If a rumble encounter is defeated, everyone is rewarded. Winning the solo fights will raise Brawler’s Guild rank and allow new rewards to be purchased. Two of the new ones include Brawler’s Burly Basilisk Mount and Tylarr Gronnden battle pet. Similar to world events but they only last a few days. They will have no achievements and rewards so players won’t feel forced to participate. This is strictly to breathe life back into all of Azeroth, but they will be great for leveling up alts. Mists of Pandaria Timewalking is a new bonus weekly event that will finally take place on the first full week of March. 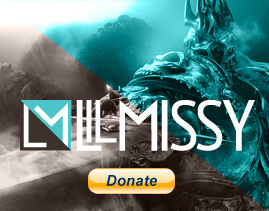 It will include all 6 original dungeons from Mists launch. The new Timewalking vendor will be located on the Timeless Isle. Small patches also have system updates! Players can find a party through the quest tracking similar to the World Quest Group Finder add-on. Also included is the option to set for just friends or guildmates only. Several new catch-up mechanics have been added for players who didn’t play in the last 5 months since Legion launch. New players at level 110 can do repeatable quests to exchange Order Hall Resources for Artifact Knowledge up to 15. Class Hall Research tiers 3, 4, 5, and 6 have had their times reduced for both new players and alts. And players can send a new Bind on Account item to alts to instantly hit Artifact Knowledge 25. And that covers Patch 7.1.5. Check out the class changes in the Patch Notes and more recent Hotfixes. Let me know what your favorite feature is from Patch 7.1.5 in the comments. If you have any suggestions or feedback on the patch, make sure to post them on the official Warcraft Official Forums or tweet to @WarcraftDevs. Don’t forget to subscribe to my YouTube channel! Thanks for watching.